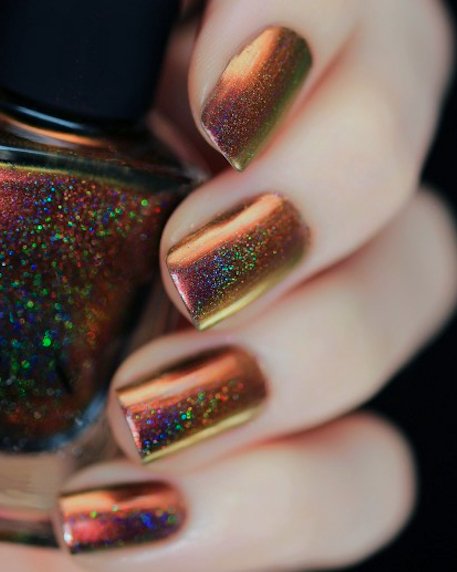 Abundance (H) is a holographic version of the original Abundance Ultra Chrome nail polish! 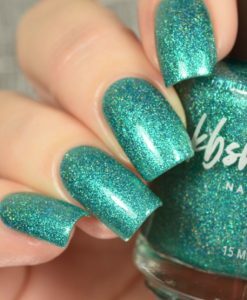 The new Abundance (H) contains just the right amount of holographic splendor to add a beautiful rainbow sparkle to the polish. All without ruining the intense color shift effect! Abundance (H) effortlessly shifts through super vivid hues of red, orange, bronze and gold. We’ve had Abundance (H) on hold for quite a while but feel it’s finally time to share her with the world! 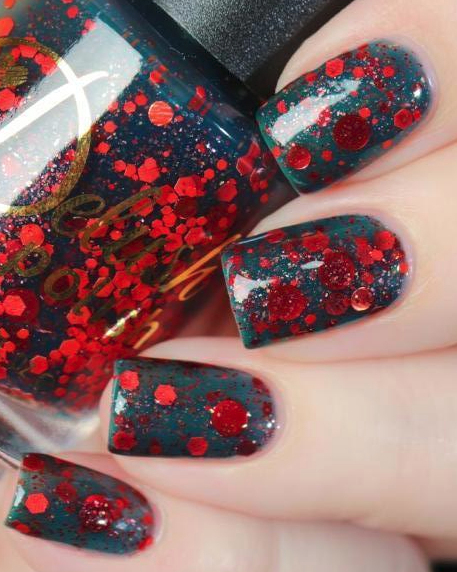 Abundance (H) is part of ILNP’s “Ultra Chrome” class of multichromatic nail polishes; formulated to apply directly to the nail without the need for a base colour.